It’s an innovation eight years in the making: clothing woven from plastic. And like most products that are introduced, the kind where we ask ourselves ‘why didn’t I think of that?’, it’s an idea that is uncomplicated, yet surprisingly challenging to pull off. When the hospitality and service design team at Chick-fil-A began working on the latest uniforms for restaurant team members, they wanted clothing that was fashionable but offered something more. They were searching for a sustainable solution. But what did that mean, exactly? Greenville, S.C. based apparel partner OOBE set to work looking for a material that would provide the sustainable sourcing solution. Several options were researched and tested throughout the process, including incorporating bamboo fibers, organic cotton and recycled materials. But it wasn’t enough –the desire was to create shirts made entirely from recycled material and sourced within the United States. As of May 2017, more than 5.3 million recycled plastic bottles are clothing more than 100,000 restaurant team members across the country. This move makes Chick-fil-A team members among the first in fast food to wear shirts made from recycled plastic bottles. 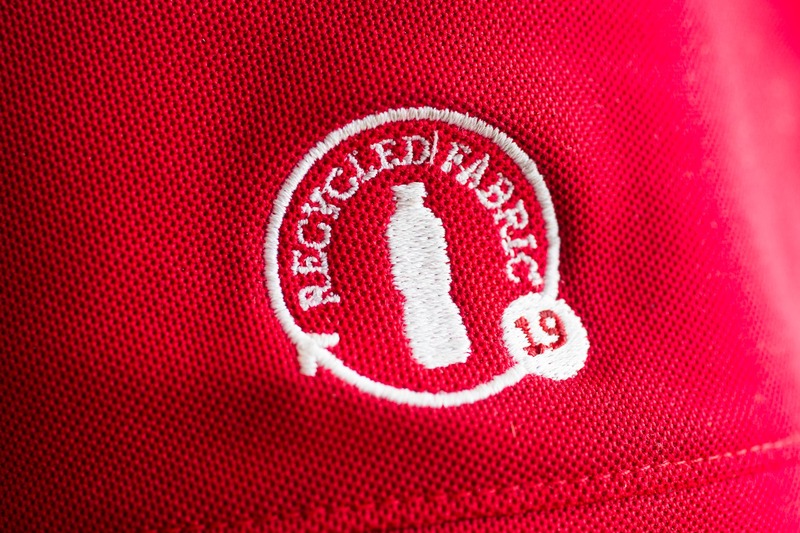 Each red polo contains 19 plastic bottles, while the blue variety contains nine. The shirts also include moisture wicking, stain release and an anti-microbial treatment to keep team members comfortable and fresh throughout their shift. 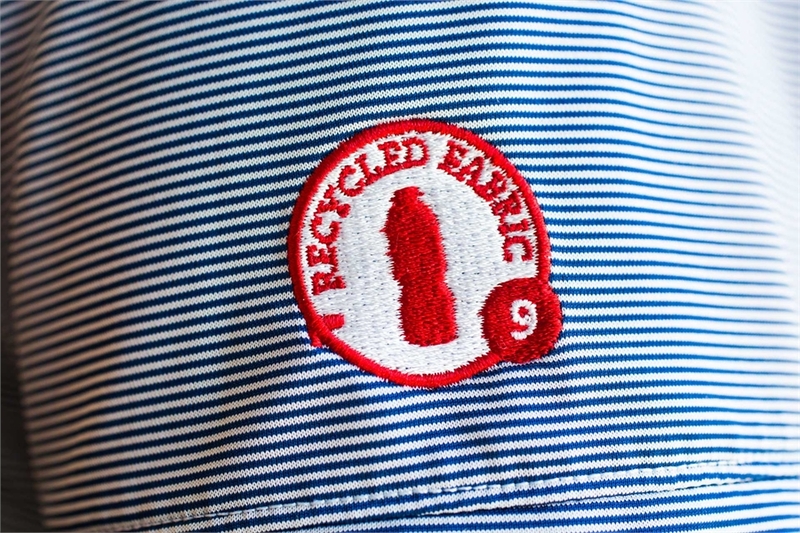 But how do you make a shirt from recycled plastic bottles? It’s a fascinating and complex process that’s equally as interesting as the idea itself. Go behind the scenes to see how our new restaurant team member polos are made – and how a simple shirt can make a big difference. Leave it to parents to find a solution for anything. They can turn the contents of a purse into hours of entertainment at a restaurant or child-proof any room before those little toddler feet hit the floor. Kids teach you lots of things – starting with how to be resourceful. So when we were looking for ideas to upcycle Chick-fil-A’s soup bowls, we went straight to the experts: moms. We put out an all-call and once again we were amazed by the results. (Last year they showed us how to make practically anything out of our salad containers.) Here are eight great DIYs to think about before tossing out your soup bowls at your next visit to Chick-fil-A.